Sometimes we wish to copy all links of a web page but there is no option in browser for this. We can only copy links one by one. But what if there are too many links and we want to copy all? For this kind of situations, Firefox with Copy All Links add-on will help you. This simple Firefox add-on adds ability to copy links of web pages at once. To use this add-on, first download it in your Firefox browser. After installation, open any web page and right click anywhere to open context menu. Here, you will see a new item added at the bottom of menu saying “Copy All Links.” It opens two different options to copy All links and Copy all download links. If you want to copy all available links of web page, use All Links option. 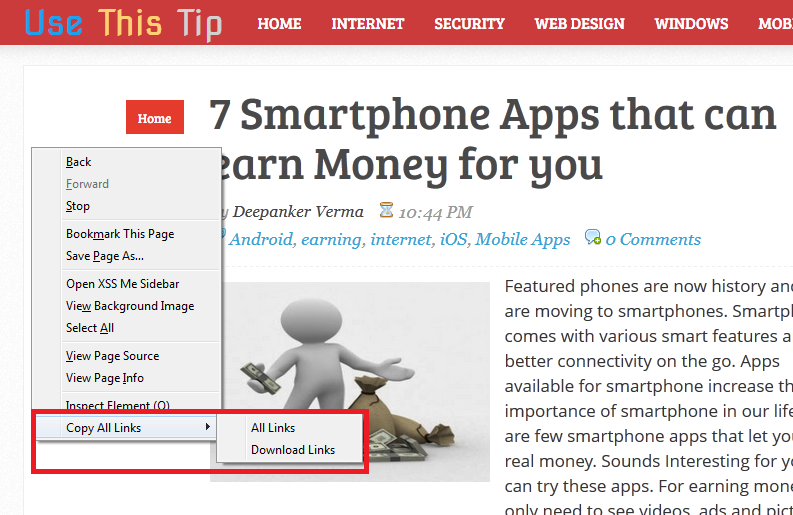 If you only want to copy download links only, click on Download Links option. All copied links are copied in clipboard. You can paste links anywhere you want. 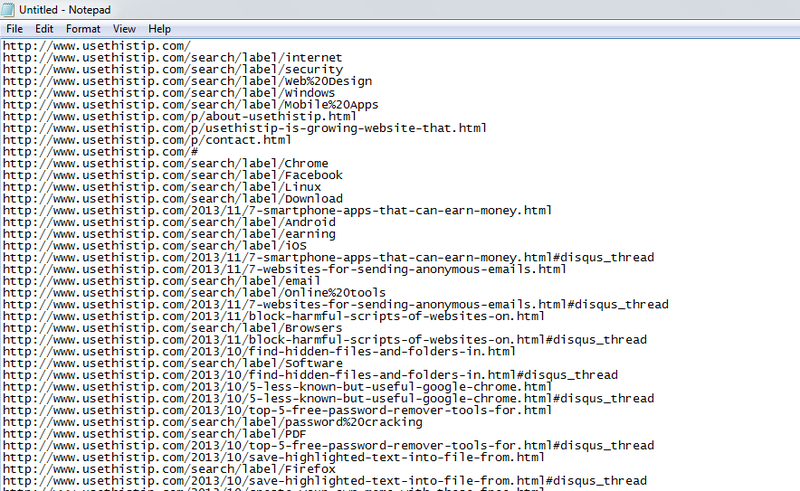 See I pasted links in notepad. I tried this add-on on many websites and it worked fine. You can try this add-on and share your views with us via comments.